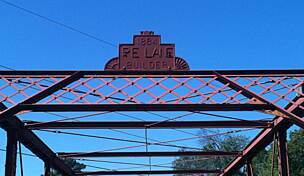 The northern portion of the East Bank Trail was one of the first rail-trails in Indiana, opening in 1988. The asphalt-surfaced trail stretches for about 0.5 mile through tree-lined South Bend neighborhoods to St. Joseph High School and the edge of the Holy Cross College and University of Notre Dame campuses. At Howard Street/North Shore Drive, a newer concrete-surfaced segment continues south along the St. Joseph River through downtown’s East Bank Village. 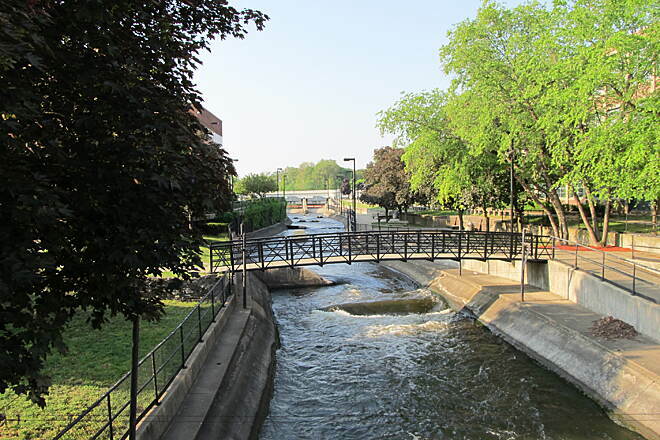 A crossing over the South Bend Dam provides access to Seitz Park, which overlooks the East Race Waterway, a manmade route for whitewater rafting, kayaking and inner tubing that parallels Niles Avenue. 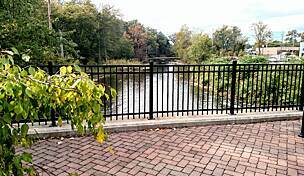 The trail ends in the south at Howard Park, which offers restrooms, picnic areas, a recreation center and scenic views of the St. Joseph River. 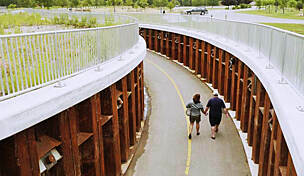 A direct connection to the Northside Trail allows trail users to trek closer to the city of Mishawaka. Parking for the East Bank Trail is available in the north at St. Joseph High School (N. Michigan Street and W. Angela Boulevard) and in the south at Howard Park (219 S. St. Louis Boulevard) and Seitz Park (south of E. Colfax Avenue/US Business Route 20). 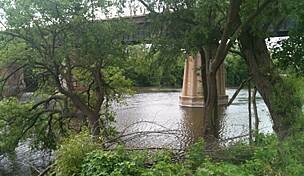 Follows along the St Joe river, next to a man-made kayak run, through residential neighborhood, ending by Notre Dame. It's possible to never go on a city street while on this trail (it's a rail-to-trail line). It's a little confusing around the south part (near the "East Race" kayak run") because there are ways to go underneath all the traffic by crossing pedestrian bridges that go over the river, but if you have a map or planned it out, you can pick the right bridges and never have to go on a street. It's an interesting mix of urban and natural, a hidden gem in the area (especially the northern part that is an old rail line). Enjoyed traveling this trail along the river. 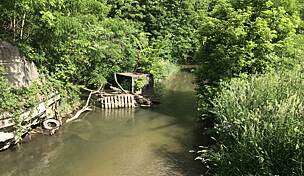 It is somewhat confusing since the trail crosses and recrosses the river. Thankfully, someone painted blue arrows to mark the trail. Once we figured that out, we enjoyed it even more! 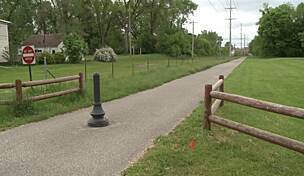 This is a city trail, hard to bike through due to narrowing paths, also some areas are not safe due to the rising crime rate in downtown South Bend. If you enjoy city life then this is a trail for you, but personally I would not take this trail again. I grew up in SBend so when I visit family I often take my bike to take some spins around town. A great start is at Memorial Park of off Twyckeham Ave. Plenty of parking there. The path heads to Howard Park where you can picnic, relax, or people watch. Heading north you go under a street bridge (tight fit) and ride passed outside diners at the Emporium Restaurant. The East Race is a great place to stop and see the dam, man-made rapids and fish ladders. You can bike either side of the race, but need to figure out which bridges to cross over the race to avoid a street crossing. Lots of zig-zagging and narrow fits here. At the end of the race you head up a ramp, continue north past the Madison Center. This becomes the old RR path that takes you out to the Notre Dame area. Oh! And nearby dowtown is the South Bend Chocolate Cafe. Replace the calories you burnt off. 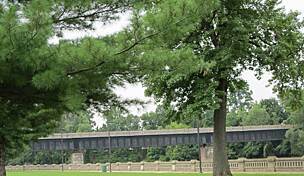 "The description fails to include the paved and boardwalk portions running south from approximately a block east of St. Joseph High School, then along the de-activated railway, connecting with East Race, through Howard Park, and on to IUSB, adding a good three miles to the portion officially listed. 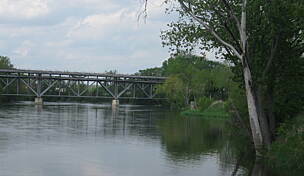 Much of this latter portion follows the scenic St Joseph River. Spring and summer also mean comfort facilities and public and competitive kayaking on the E Race as well. 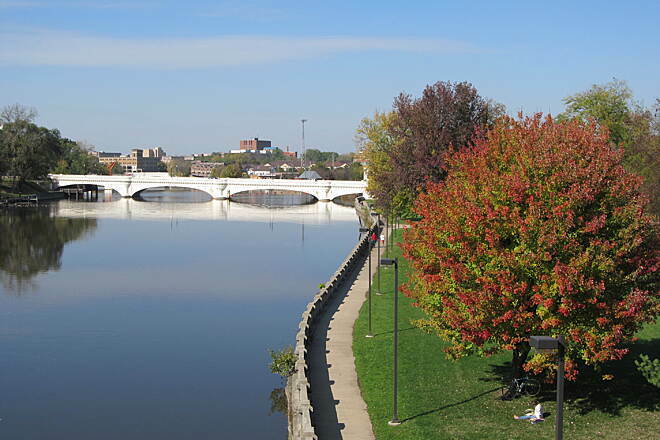 From the headgates of the E Race, it is a short walk to downtown South Bend and a variety of eating and drinking establishments." 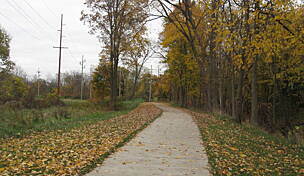 "The East Bank Trail extends from IUSB to St Mary's College. From St Mary's you can cross the road over to Notre Dame. 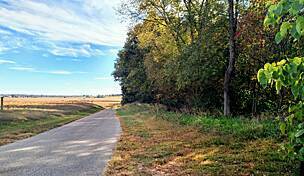 If you know the area, you may then find the Twyckenham bike path and take it back to safe streets to IUSB. This makes for a 10-15 mile trip depending on where you ride at the colleges. 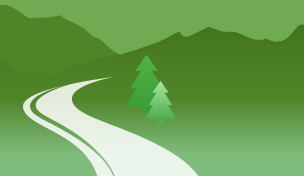 St. Mary's also has some off road trails that bikes are allowed to use."